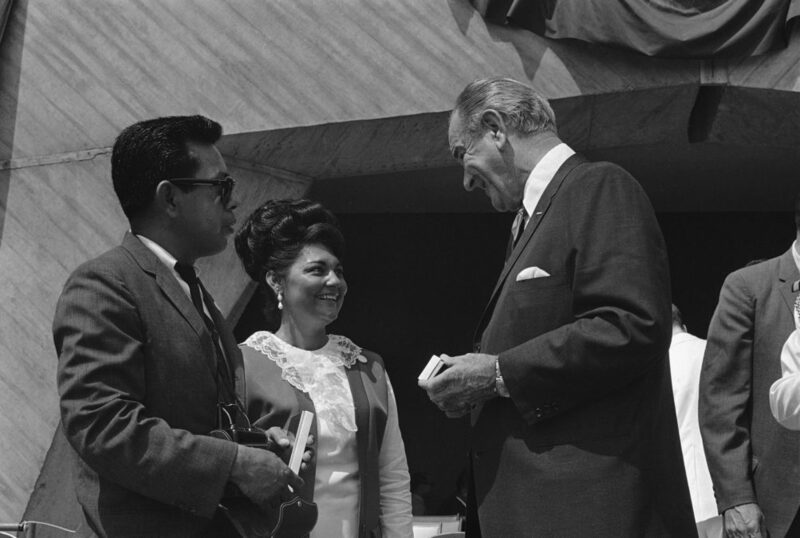 President Lyndon B. Johnson at the signing of the Fair Housing Act. It was just a week after Dr. Martin Luther King’s assassination, when, 50 years ago today, President Lyndon Johnson signed the Fair Housing Act of 1968. The final major piece of legislation enacted during the civil rights era, the Fair Housing Act was designed to end the practice of redlining, or government-sanctioned lending discrimination. Back in the 1930s, federal officials drew lines on maps around neighborhoods with high concentrations of African Americans and immigrants, and told banks they were “hazardous” to lend in. But 50 years on, it’s clear, those promises have not been kept. Today, the homeownership gap between black people and white people is greater than it was when segregation and discrimination were legal, according to the most recent figures from the Census Bureau. I’ve been investigating racial discrepancy with my colleague Emmanuel Martinez. We combed through 31 million mortgage records and found a troubling pattern of home loan denial to people of color in cities across the country. People of color continue to be denied home loans at rates far greater than white people, even when they make the same amount of money. We found 61 cities across the country where people of color were far more likely to be turned down for a conventional home loan than their white counterparts, even when they made the same amount of money, wanted to take out the same size loan and buy in the same neighborhood. The Fair Housing Act is rarely enforced. Since President Donald Trump took office, the Justice Department has not sued a single lender for failing to lend to people of color. Workers in the agency’s civil rights division report they have lost faith in their leaders’ integrity. “It might be very frustrating for people, who were motivated by a desire to enforce and uphold civil rights law, to see those laws being undermined by senior leadership,” former Justice Department civil rights lawyer Gary Herbert told Reveal from The Center for Investigative Reporting. On March 29, U.S. Sen. Bob Casey, a Democrat from Pennsylvania, and Pennsylvania state Sen. Vincent Hughes, wrote to U.S. Attorney General Jeff Sessions, demanding an investigation into modern-day redlining reported by Reveal. Two weeks later, the Justice Department has not responded to Casey and Hughes’ letter. Spokesman Devin O’Malley declined to comment, or even acknowledge receipt of the request. Members of Congress want answers. In the absence of action from the Trump administration, lawmakers on Capitol Hill have sought to turn up the heat on banks in other ways. During his first appearance before the House Financial Services Committee, newly installed Federal Reserve Board Chairman Jerome Powell was grilled on racial disparities in lending. Members of the committee pressed Powell to address the problem, which they said was destroying neighborhoods. Powell did not offer a specific remedy, but told the committee the Federal Reserve would use its authority to crack down on discrimination. Since then, Democratic Sen. Elizabeth Warren of Massachusetts has said Ben Carson’s failure to enforce anti-discrimination laws is “the scandal that should get (him) fired” as secretary of the Department of Housing and Urban Development. And locally, people are taking action. Since Reveal published its investigation, attorneys general in four states and the District of Columbia have begun to probe fair lending violations in their communities. Ferguson, along with attorneys general in Iowa, Delaware and the District of Columbia said they were troubled by our reporting and had begun looking into the matter. They joined Pennsylvania, where Attorney General Josh Shapiro had earlier announced an investigation led by his office’s Bureau of Consumer Protection. Pennsylvania state Treasurer Joe Torsella has also launched an investigation into three banks identified by Reveal that hold state deposits. In Philadelphia, the City Council held a hearing into Reveal’s findings, prompting community advocates to come forward with ways that banks and other mortgage lenders could be held accountable locally.